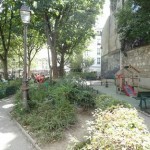 Place des Abbesses is the heart of Montmartre, a crossroad where Parisian people and tourist meet each other every day. 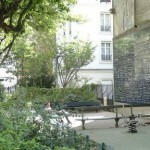 It is therefore no accident that, in a small public garden situated behind Place des Abbesses (Square Jehan Rictus), is here since october 2000 an unusual work become today a monument to the glory of lovers of the whole world. 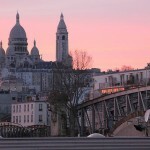 What more natural in Paris, world capital of romanticism ? 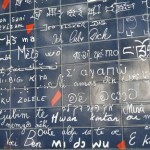 I love you : the wall (le mur des je t’aime) is a work you can discover Square Jehan Rictus. 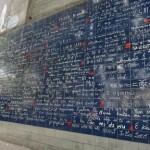 It has been made by François Baron who has collected himself during several trips in Paris about 1500 declarations of love. 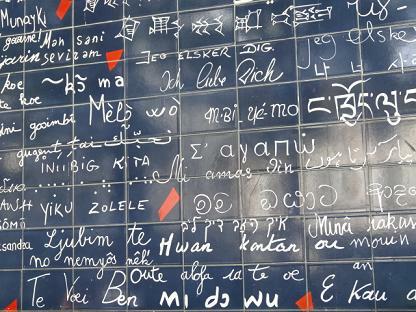 You will obviously see on the wall French, English or Chinese “I love you”, but also in forgotten and unusual dialects as Navajo, Corsican or Esperanto ! 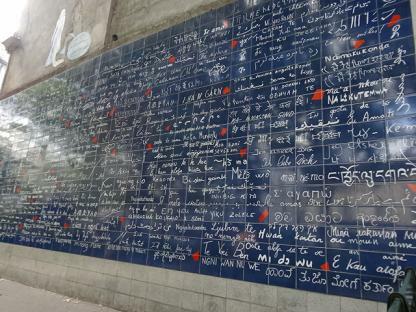 In all, “I love you : the wall” it is over 311 written declarations in 250 different languages put together thanks to the calligraphic artist Claire Kito. Finally note that the choice of a wall was knowingly a desire of the artist. Indeed, walls, like frontiers, are usually an emblem of separation and division. 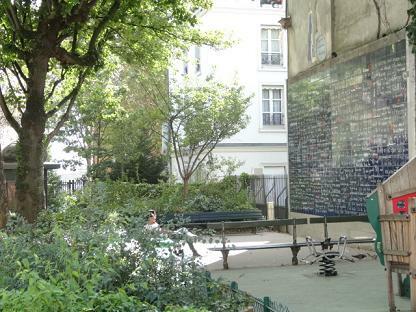 By putting so much I love you on a wall, François Baron wanted to show that it could also be a symbol of reconciliation and peace. 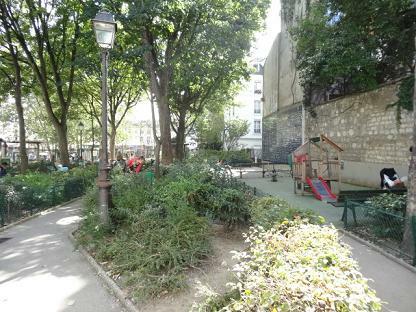 Do not forget, while strolling Montmartre, to make a detour via Place des Abbesses to unusually declare your’s love! 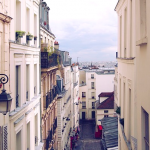 5 addresses, 5 unknown places to discover Montmartre in an unsual way.